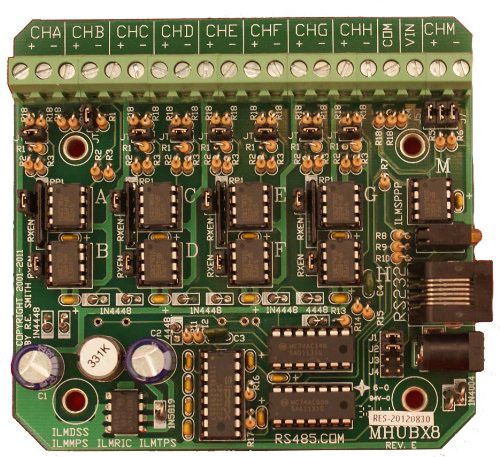 Six(6) easy mount through hole standoffs, which accept #6 hardware, are provided on the circuit board. 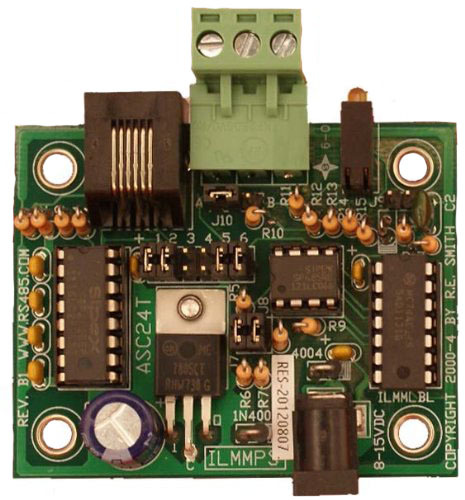 Accessories available are a 12VDC Switching Power Supply(Wall Wart), and a 7ft DB9F to RJ11/12 RS232 cable. 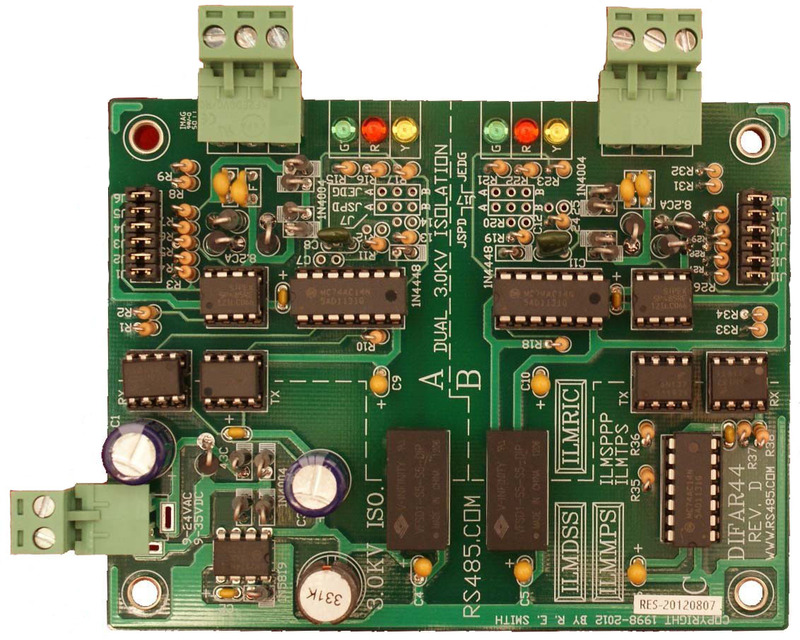 We also make similar isolated multi-repeaters in 5 Port(IBS485HV), and 10 Port(ICS485HV) versions. 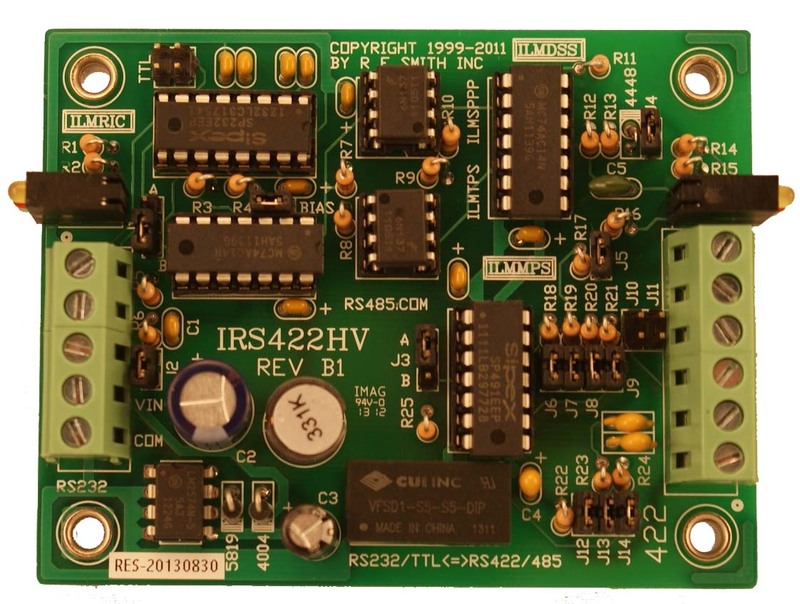 This unit can be connected to a computers' RS232 port, and distribute RS485 via 7 Isolated Ports to form large/robust networks. 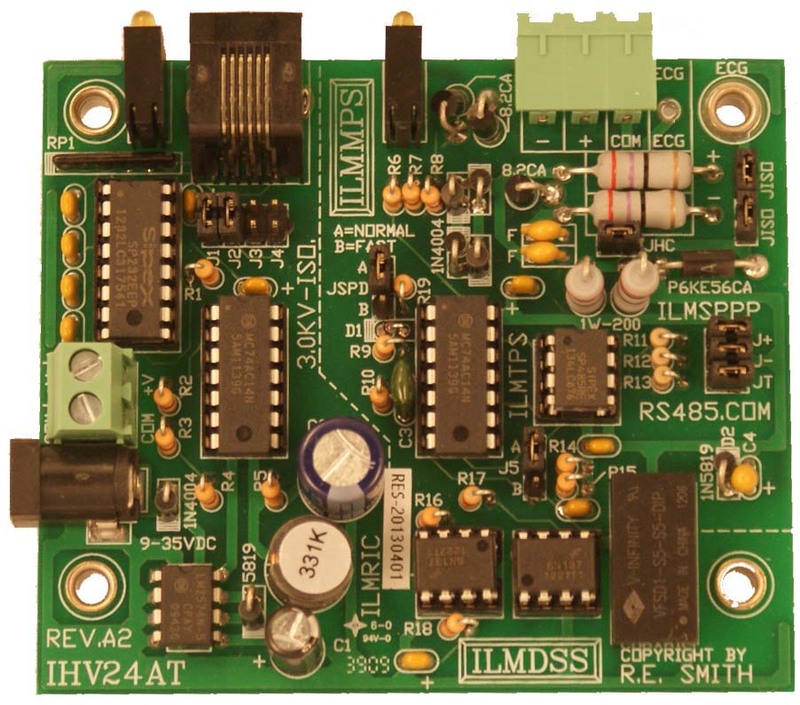 Units can be cascaded for very large RS485 multi-drop (2-wire, half-duplex) networks.